Premier Badminton League 2017: The upcoming second season of Premier Badminton League 2017 will begin from January 1, 2016. The officials have revealed the complete list of Players drafted in six teams in the (PBL 2017) Premier Badminton League today on Wednesday. It is a tournament for the Indian Badminton players as like the Indian Premier League for Cricketers and Indian Super League for the soccers. The most important Badminton players were moved to various teams for the various price such as Srikanth Kidambi moved to Awadhe Warriors for Rs 51 lakhs, Saina Nehwal for Rs 33 lakhs on the same team. Check more updated here below. Mumbai Rockets Prannoy HS has sold for Rs 22 lakhs. Jan o Jorgensen for Rs 59 lakhs and Jwala Gutta for Rs 10 lakhs to the Delhi Acers. Carolina Marin has been sold for Rs 61.5 lakhs to the Hyderabad Hunters. 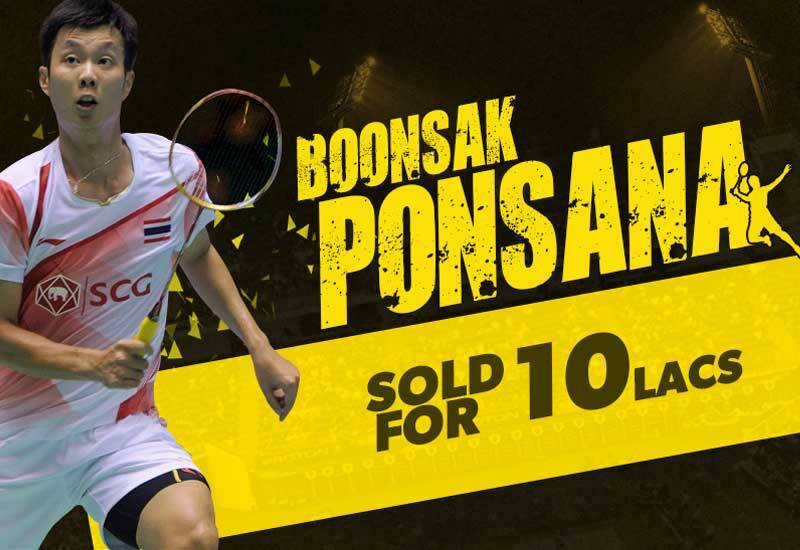 Viktor Axelsen for Rs 39 lakhs and Ashwini Ponnappa for Rs 15 lakhs to Bengaluru Blasters. P V Sindhu has also sold for Rs 39 lakhs and P Kashyap for Rs 8 lakhs to the Chennai Smashers. Saina Nehwal, PV Sindhu, and Carolina Marin are the important noticeable women players in this PBl 2016. Though, Viktor Axelsen and Jan O Jorgensen are the important men badminton players. This Premier Badminton League 2017 will be conducted for 15 days in various stadiums across India such as Hyderabad, Bengaluru, Mumbai, Chennai, New Delhi and Lucknow. Awadhe Warriors: V Shem Goh, Srikanth Kidambi, Savitree Amitrapai, Saina Nehwal, Wong Wing Ki Vincent, Rituparna Das, Bodin Isara, Markis Kido, Prajakta Sawant, Aditya Joshi. Bengaluru Blasters: Viktor Axelsen, Yoo Yeon Seong, Ashwini Ponnappa, Porntip Buranaprasertsuk, Ruthvika Gadde, Sourabh Verma, Pranaav Chopra, Ko Sung Hyun, Sikki Reddy, Boonsak Ponsana. Chennai Smashers: Tommy Sugiarto, P V Sindhu, Gabby Adcock, Tanongsak S, P Kashyap, Chris Adcock, Mads Pieler Kolding, B Sumeeth Reddy, Ramya Tulasi, Arundhati Pantawane. Delhi Acers: Son Wan Ho, Jan o Jorgensen, Jwala Gutta, Nithchaon Jindapol, Ivan Sozonov, Vladimir Ivanov, Akshay Dewalkar, K. Maneesha, Akarshi Kashyap, Siril Verma. Hyderabad Hunters: Carolina Marin, Wee Kiong Tan, Chau Hoi Wah, Rajiv Ouseph, Sai Praneeth, Satwik Sairaj, Sameer Verma, Krishna Priya, Meghna J, Tan Boon Heong. Mumbai Rockets: Lee Yong Dae, Sung Ji Hyun, Nadiezda Zieba, Ajay Jayaram, Prannoy HS, Nipitphon Phusnhphupet, Manu Atri, Abhishek Yelegar, Vrushali G, Mohita Sehdev .